Our enduring commitment to innovation and quality keeps Raven at the industry forefront, by providing effective performance driven sealing systems that meet or exceed our clients’ expectations. Raven’s international research, product development and testing facilities means we are constantly developing new and innovative ways to respond to the rapid advances in the building industry. Our specialist research and development engineers work tirelessly to meet the ongoing needs of the building industry often pre-empting new challenges and providing innovative products to suit. All Raven products are designed to comply with international building regulations and requirements. Continuous monitoring and accreditation to international quality standard ISO 9001 underscores the company’s determination to deliver products that are proven to be the best. Actively identifying advances in the industry, Raven is at the forefront, developing the technology and the products to suit. We see our role not just to design and manufacture a quality product but also to assist architects, engineers and builders to help improve building design and safety while reducing construction costs where possible. Designed to meet or exceed Australian, New Zealand and European standards and building codes, Raven offer a tested and certified range of door and window sealing systems for the containment of energy the exclusion of noise, weather, insects, vermin, fire, smoke and bushfire embers. Don’t put your project at risk with products that only claim “deemed to satisfy”. This means they may not have undergone the same rigorous laboratory testing and certification processes as Raven. With in-house NATA accredited testing facilities, Raven’s design and engineering team can quickly develop new and innovative ways to respond to the advances in the building industry here and around the world. Our array of patents and numerous design awards stand as testament to this commitment. You can rest easy in the knowledge that Raven will provide you with the most tested and compliant systems available on every project. Raven door and window seals are tested and certified by internationally recognised accredited laboratories ensuring the highest quality and performance. Seals undergo weather, acoustic, fire and smoke testing to verify their conformance to national and international codes and regulations. 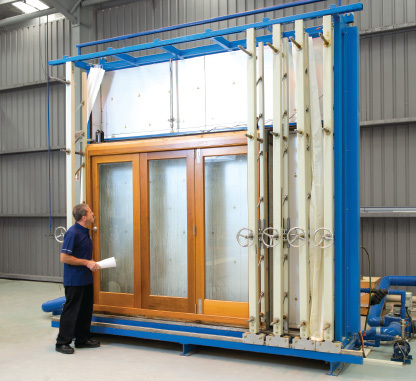 Weather testing is performed in a NATA accredited laboratory that sees door and window assemblies pelted with rain and wind pressures up to 300km per hour - that’s cyclonic conditions! Weather tests on door and window assemblies are conducted in accordance with AS2047 and AS4420 series Standards. 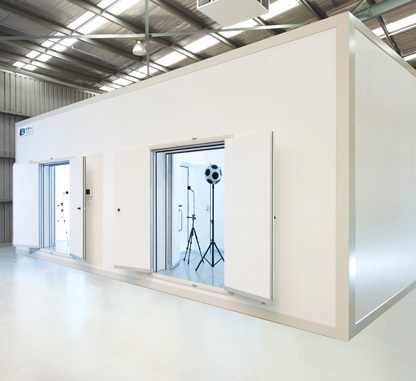 A state of the art acoustic laboratory tests Raven sealed door sets to EN ISO 10140 series Standards with ratings to ISO 717-1. 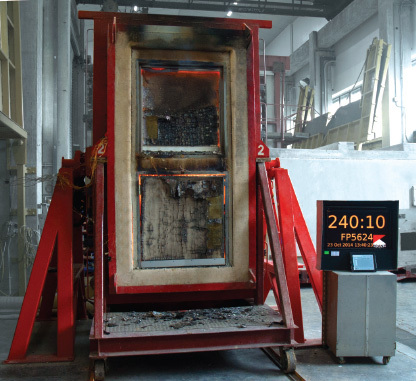 Fire tests are performed by internationally recognised fire laboratories to Australian and International Standards AS1530.4, EN1634-1, BS 476 Pt. 20 & 22 and UL 10C. 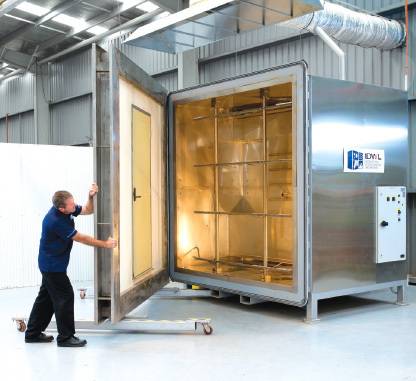 NATA accredited laboratories test Raven seals on solid core smoke doors and fire rated door assemblies to ambient and medium temperature smoke at 200 degrees Celsius in accordance with AS1530.7 and EN1634-3 series Standards.